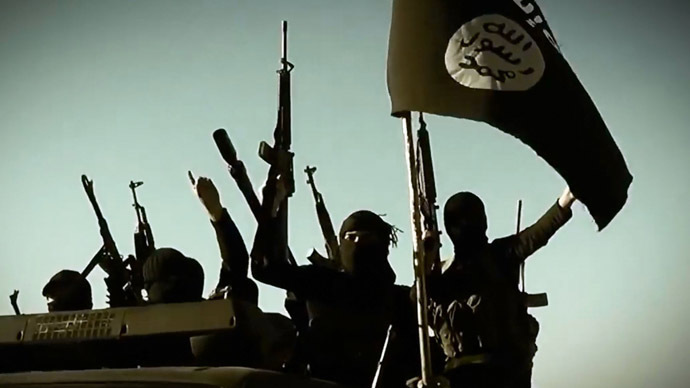 About 3,000 people have been linked to Islamic State militants in Turkey, says a police report. The data has prompted a red alert over possible attacks, including in NATO and the West, by the so-called “sleeper cells” of the jihadist group. A Turkish police intelligence report has urged surveillance of about 3,000 people to observe their connections with the jihadists, sources told the Turkish Hurriyet Daily News. "There are around 500-700 Turkish citizens who have joined the ranks of [Islamic State]," Turkish Foreign Minister Mevlut Cavusoglu said earlier this week. Those 3,000 “possible links” to jihadists are additional to the group of about 700 Turkish fighters who are already fighting alongside Islamic State. The criminal records of foreign fighters who joined the IS militants via Turkey were absent, said the report, adding that it had created problems with security sources. "A common concern about the foreign fighters is: What will happen when they return to their homeland? We have this concern too." Ankara has so far banned entry to 7,250 people from abroad who were planning to join the Islamic State jihadists, and has deported 1,165 would-be extremists. The report contains an “urgent” notice, saying that Islamic State extremists may stage new assaults, including bomb attacks, following the Paris shootings that killed 17 people last week. The warning also touches upon possible attacks on the consulates of Western countries by Islamic State and Al-Qaeda. NATO facilities and the citizens of Western countries may also be targeted, the report says. Turkish authorities have already sounded a maximum alert in the consulates and other facilities of Western countries. One of the factors that increases the risk for Turkey is that IS controls many points on the Syria-Turkish border. Ankara has repeatedly been accused of not taking action to stop the flow of extremists seeking to join ISIS. On Monday, Cavusoglu confirmed that Hayat Boumeddiene, 26, the female accomplice of Amedy Coulibaly (one of the gunman involved in the Paris killings), crossed into Syria from Turkey on January 8. Boumedienne arrived in Turkey from Madrid on January 2 and stayed at a hotel in Istanbul. "How can I know whether she will join IS? If they have such intelligence, why didn't they stop her before leaving France?" he asked and added that France did not act on the intelligence provided by Ankara. FM Cavusoglu has also described Turkey as an open target of ISIS because of its condemnation of the jihadist group as a "merciless terrorist organization that does not represent Islam in any way."